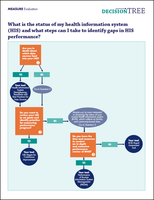 This webpage provides step-wise guides to tools that can help countries assess and improve health information systems (HIS) and programs. They are designed for in-country missions of the United States Agency for International Development (USAID) and for country government partners and stakeholders. 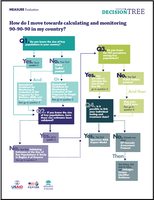 These “decision trees” focus on one large question and then guide readers through iterative relevant questions and offer appropriate, ready-made tools to assist in arriving at an answer. 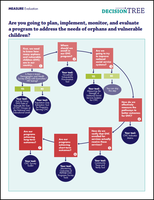 The first page of each decision tree provides a graphic guide through the questions and tools. The second page gives a more detailed overview of each tool mentioned. 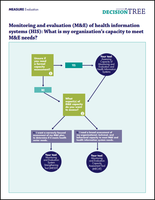 MEASURE Evaluation, funded by USAID, works globally in low-resource settings to help countries improve their capacity to collect, analyze, and use health data to effect better health outcomes for people.